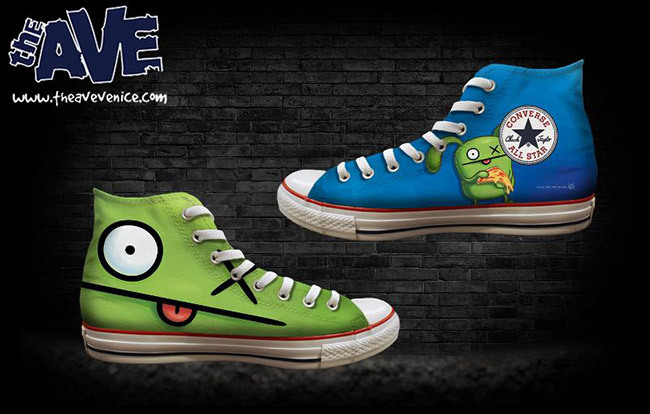 Green Brook, NJ - May 14, 2013 - Pretty Ugly™, LLC owner of the UGLYDOLL® brand has partnered with The Ave Venice, a concept store that delivers unique and legendary footwear. 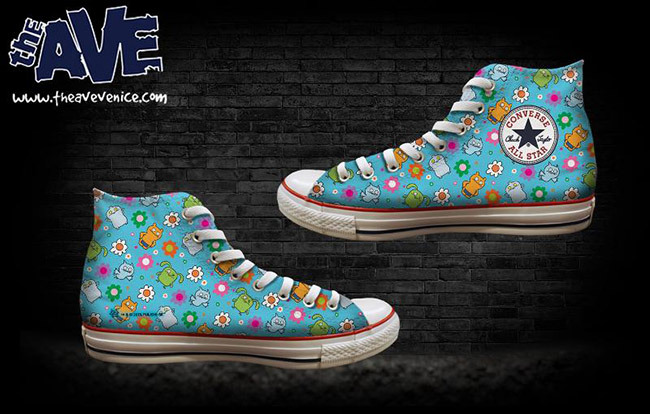 The Ave Venice will be offering a selection of custom designed and printed UGLYDOLL Converse Chuck Taylors. The first UGLYDOLL was drawn in a letter written by David Horvath to his now-wife, Sun-Min Kim. In the letter, David drew the character we now all know and love as Wage™. Their dream was to tell stories through books and toys. Fast forward over ten years and UGLYDOLL has become a household name where 'ugly' means special and unique.